Scotch and Soda are discoverers and collectors, scouring the globe for paintings, poems, vintage pieces, ruins, and artefacts that spark our never-ending curiosity. 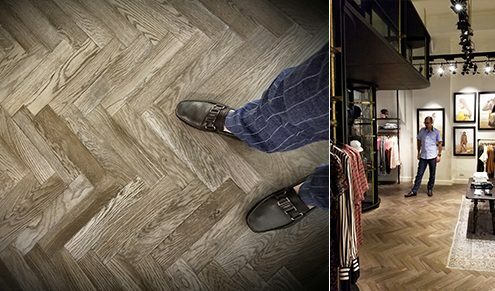 In a recent trip to Amsterdam, European Flooring founder Mehran Khayeri visited a Scotch and Soda store brimming with unique and beautiful items. 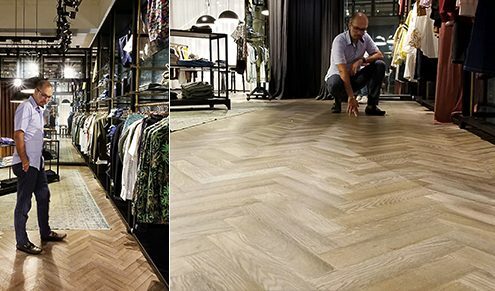 This Scotch and Soda store features our Atelier Collection’s Select Grade Oreal engineered hardwood in an traditional herringbone pattern. 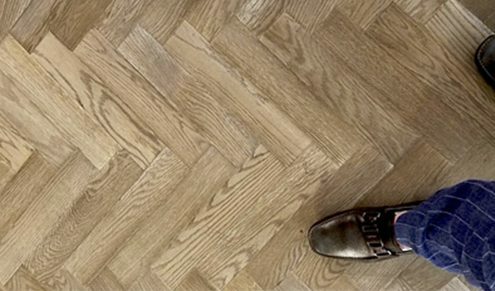 The Old World European design meshes elements from classic places as inspiration and fabric patterns that suit the brand’s elegant aesthetic. The clothing brand has over 150 stores, and their line can be purchased in over 8000 stores and on their website’s online store. 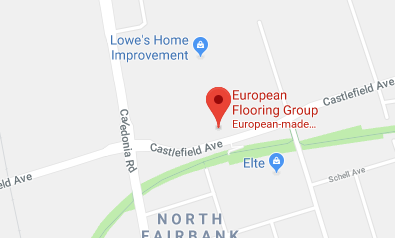 As Mehran Khayeri continues to trot the globe in search of inspiration, our promise is to bring you only the most finest and luxurious imported flooring to elevate the look and feel of your space.